The philosophy is a simple one. You make progress by not making excuses. Simple, yes. Easy, no. While I believe that this concept can be applied to any area of one’s life, I’m going to focus specifically in terms of fitness and reaching the goals you set out for yourself. While these excuses may have some merit to them, they are just that. Excuses. Now before I go any further on my high horse that I’m likely being perceived to be on, I’d like to point out that no matter how much of a gym rat you think you may be, or how ‘in-shape’ you think you are, all of these ‘excuses’ creep into our minds at some point. Myself included. The key is to not let them stick into our minds and take root. Once we believe, for example that your life is simply too busy to find time for working out, then that’s exactly what will happen. No matter how busy we may think we are, there are fewer things that can be more beneficial and satisfying for ourselves in the long-term than maintaining a healthy lifestyle. We may not feel that way during the workout when we are fatigued and feel like ‘throwing in the towel’ so to speak. But the benefits far outweigh the small amount of discomfort and pain we may experience. 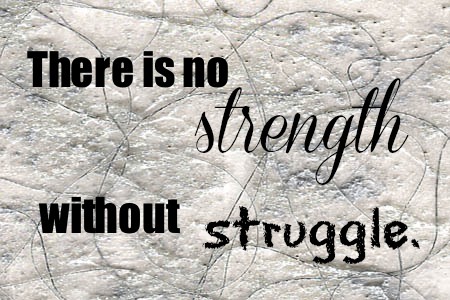 Think of the struggle as growth, because in reality that’s exactly what it is. When we grow its not always comfortable, and it’s not supposed to be. You won’t see immediate results, which frustrates some in a society in which we desire instant gratification and instant changes. Remember that your body will follow what the mind believes. In order to see long-term success, you must be in the right frame of mind to understand the LIFESTYLE change that you are undertaking. Realize that instant results are not going to happen, and that you are going to have to EARN every inch of success that you achieve. One of the biggest reasons for failing to be consistent with a workout routine are unrealistic expectations before even beginning. There is no magic pill, formula or secret that will generate overnight results. Oh and those that feel you’re ‘too tired’ to workout, ironically exercise provides you with MORE energy rather than less. And if you find yourself bored with a workout? Easy answer, don’t do the same workout every time! Believe it or not, exercise can be fun. Nope, that’s not a typo. I did say F-U-N. For the ladies, try Zumba. Guys, take a boxing or plyometric class at your local gym. Working out doesn’t have to be stereotyped to running on a treadmill for 90 minutes, keep it fun. This will keep YOU on track. If you make excuses, you’re not making progress. It really is that simple. Find what motivates you, and remind yourself on a daily basis WHY you’re doing what you’re doing. Don’t let life’s distractions keep you from reaching your full potential. So the next time you say to yourself “well, i can just workout tomorrow” you will know that it’s nothing more than.. yep you guess it. An excuse.